While “concrete” and “innovation” may seem an unlikely match, the latest solutions in this space are challenging perceptions and uses in the construction and infrastructure development sectors. An increased focus on sustainability, aesthetics and admixtures means that concrete and its diverse application are now being considered in the initial design phase of many projects: both large and small. This trend is exciting for manufacturers and developers alike according to PPC Architect Daniel van der Merwe, as it makes “sustainable” construction a likely future reality. While innovation has been driven by the need for greener and more sustainable building practices, many of the solutions created address practical challenges – which ultimately impact on the condition and longevity of buildings. “To build concrete structures that are sustainable, we need to improve our understanding of the interdependencies of building, notably the design phase, construction process and the complete product. We have to quantify how these impact the carbon footprint of the structure and eco-impact during the building’s lifecycle, and work to consistently drive improvement,” he explains. The ongoing focus on innovation is making this possible. By positively influencing and extending the lifecycle of concrete – specifically in challenging applications such as damp and humid environments – one can cost-effectively help maintain the building. This often involves seeing concrete as the solution. Admixture cocktails have a critical role to play in this regard. While traditionally used to reduce the cost of concrete construction; modify the properties of hardened concrete; ensure the quality of concrete during mixing, transporting, placing, and curing; and overcome certain emergencies during concrete operations, new solutions are constantly being developed. Efflorescence reducers for example, work to limit humidity transfer and carbonation on concrete surfaces, making them ideal for large-scale industrial application especially in coastal regions. This reduces the maintenance required on these surfaces, including the use of powerful chemicals – both of which have direct and indirect environmental consequences. In a similar way, corrosion-inhibiting admixtures can increase the passivation of reinforcement and other embedded steel, preventing chloride ingress or carbonation. “This has massive implications for how we build infrastructure over, at or near water – not only from a building integrity perspective but in terms of safety too,” says van der Merwe. 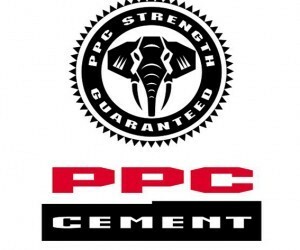 This has made it important for manufacturers such as PPC to work with partners and clients from a technical advisory perspective so that the full value of concrete as a medium can be unlocked at the outset of a project. Given that concrete is one of the most widely consumed substances on earth, and that 12 billion tons are manufactured globally each year, how we use it and build with it does – and will – directly impact our world for generations to come. “By seeing concrete as a competitive building solution and continuously driving improvement in this space, we’ll be able to deliver beyond its core qualities of strength, durability and thermal mass to offer technical advantages, improve cost-effectiveness and aesthetic appeal. In this way, ‘sustainable’ construction will become a pre-requisite for building going forward,” concludes van der Merwe.